← Here Comes The J.R. Watkins Man (and Lady) As Direct Sellers, Network Marketers and Internet Distributors! Network Marketing is experiencing revolutionary change and dramatic growth. More and more people are discovering this exciting business model. Network Marketing (MLM) is the leading Home-Based Business model for generating RESIDUAL INCOME! There are literally hundreds of companies from which to choose but only a few worth choosing. Deciding which company to work with can be an overwhelming process. For those who wish to exercise due-diligence and select the “right” company, it can be a daunting task. Early in my Watkins Career I had a very interesting phone conversation with a highly confused and frustrated Candidate for my business. I called because she had requested information about our Watkins Home Based Business System. I sent an information packet and always follow-up with a call. After acknowledging her frustration and getting her to take a deep breath and settle down a bit we had a long and pleasant conversation. As a result I promised to send her a checklist that I hoped may serve to help her evaluate all of her options and possibilities. As a result of that promise I drafted a very simple checklist for evaluating Home-Business opportunities in the network marketing (MLM) industry. The evaluation is basically a set of questions that serve as a start-point in comparing companies that you may be considering. If you are already an Independent Watkins Representative you will realize that Watkins rates extremely high on all of the categories and questions in this evaluation. Please feel free to share this basic evaluation tool with any candidate for your business who may be confused and having difficulty in assessing opportunities. Have no fear as to how Watkins Incorporated will measure up against the competition. The Watkins Products, the company’s Home Based Business System, corporate integrity, stability and track record will hold its own against the most formidable competition. When your Candidates review this evaluation they will discover the legitimacy, trustworthiness and potential of Watkins. I often use this checklist in telephone interviews with Candidates. It serves to review the major features, benefits and characteristics of a legitimate work-at-home business system in the network marketing industry. Get creative in your use and application of this evaluation tool. Have fun with it! It may serve you well in educating your Candidates and future Watkins Representatives. Much Success! This Beginners Checklist is simply a set of very basic questions that you need to have answered in order to help you select the right Home-Based Business for your needs, personality, style, experience, resources and life goals. Please note that this evaluation is not to be perceived as a “scientific” instrument. It is a series of basic questions and a framework to evaluate Home-Based Businesses opportunities. Most of your responses will be rather subjective. You will be collecting your own observations and opinions as well as the observations and opinions of others. Although subjective – the evaluation can be used to collect information about various network marketing businesses that may interest you. Most importantly it helps you to make direct comparisons between the companies that interest you. You will be able to determine which companies measure up and those that you consider to be lacking. This evaluation helps you to organize your thoughts and bring some structure to your assessment process. Feel free to add your own questions to the evaluation questions. Personalize the assessment so that it satisfies your requirements. In helping you to determine the best possible opportunity, we have formulated questions that relate to: The Company, The Products, The Support Systems, The Up-line Organization and Your Potential. Compare each company you desire to assess against these evaluation questions. As you read each question assign a rating from one to five. A one (1) is the lowest rating while five (5) is the highest. Upon answering all of the questions tally your ratings. Those companies with the highest tallies are the ones to which you should give serious consideration. Usually, as you go through this process one particular company will stand-out and may help you identify your future Home-Based Business partner. Much success in your search for a Home-Based Business Career in Network Marketing (MLM)! * The company does not pay Associates to recruit people. * Associates receive bonuses based only on their personal sales volume and the sales volume of other Associates in their network. * There is a 100% money-back guarantee on all products. * No initial inventory is required, and no minimum orders are required to participate. * There is no way to buy your way into a higher title or bonus level. Everyone must start at the beginning. The opportunity must be standard for every Associate. * Valuable and competitive products are sold by Associates to retail customers. * There is a profit motive to build the business. The products have value regardless of the incentives or profitability of the marketing plan. * The only initial “up-front” requirements for getting started are reasonable fees to cover the administrative sign-up process and the necessary start-up materials. Does the company have a history and reputation for quality and excellence, which makes it a leader in Network Marketing (MLM)? Is the company credible and is it recognized in the marketplace as legitimate and trustworthy? Does the company deliver on what it promises? Does the company have a strong Brand Awareness in the marketplace? Does the company ownership and leadership have a proven and successful track-record in the Network Marketing industry? Has the company been in business for three or more years? Has the company been in business long enough to have achieved stability? (A large percentage of new corporate Network Marketing start-ups fail in the first year). Does it have a strong corporate vision – a vision to which you can subscribe? Is there a published code of conduct, which sets the tone for ethical business practices? Is the company debt free and financially stable? (If the company is privately held – financial statements may not be available. If the company is a “public” company this information is available). If the financial statements are not available you must weigh the other questions in this evaluation to help satisfy your concerns about corporate financial stability and long-term continuance. Is the company believable and credible? (As opposed to hype, glitz and empty promises). Does the company provide a streamlined and proven turnkey-system for business success? Is the business system so designed to be operated successfully on a part-time basis? Is the system simple and easy to duplicate? Is the company’s business philosophy highly collaborative, supportive and growth facilitating? (As opposed to intense, cutthroat and highly competitive and pressurized). Does the company have a published Reference Manual, which outlines all business policies, procedures and practices? Does the company provide models of how its compensation plan works and is administered? Does the company feature a Breakaway Compensation and Marketing Plan that rewards you for building deep and wide? Does the compensation plan provide for near term cash, while helping you to build toward long-term residual income? Does the company’s business plan provide training and support for all levels in its Network Marketing System? As you assess the nature of the company’s products and business opportunity, do you believe they will still be “fresh” and make sense five years from now? Does the company refrain from supporting any particular political party, political bias, or religious affiliation? Does the company have a consistent Awards and Recognition Program? Does the company allow you to assign your business to your heirs, or sell your business to a third party? Does the company have a consistent national advertising campaign to build image, identity and brand awareness? Does the company offer e-commerce and computer supported programs – websites, shopping cart features and user friendly technology? Does the company encourage the use of technology and the application of social media to support business development? Does the company have a broad range of reliable, quality products that appeal to a broad range of tastes and life-styles? (It is difficult to grow your business with a limited product line or single product). The potential for Residual Income is almost non-existent unless there is a robust line of consumable, quality products that are fairly priced and fully guaranteed. Does the company offer a 100% money back guarantee on all products? Are the products consumable – the kind that people already buy, use and buy again consistently? (This is critical if you desire to create dependable, reliable, long-term Residual Income). Are the products easy to use or apply? If the products are too complicated or specialized you will spend too much time in explaining and educating your customers and down-line Representatives. After trying some of the products would you continue to use them the rest of your life? Are the company’s products and packaging environmentally friendly? Are all products rigorously checked for quality? Do all products measure up to the claims made by the company? Does the company have a strong Research and Development Program for continuously creating new products? Does the company’s products meet all of the standards and requirements of the various governmental agencies that have authority over them? Is the company known for high quality customer service and timely response to customer complaints? Does the company provide professional support materials for selling products and assisting in the enrollment of representatives? Is home office support characterized as caring and competent? Does the company provide guidance, direction and ample training? Has the company installed fully automated accounting, tracking and documentation systems? Are products shipped directly to your customers within one week of ordering? Does the company have control over its own manufacturing, quality assurance, warehousing and shipping operations? Does the company provide full monthly documentation outlining all transactions and sales in your network? Is your compensation automatically disbursed each month? Does the company have a history of paying all commissions and overrides in a timely accurate manner? Does the company allow you to have access to key personnel in the highest levels of the organization? Will your prospective sponsor make himself/herself available to you on a consistent basis for guidance and support? Will your up-line provide on-going training, coaching and support? Is the business philosophy and approach of your potential sponsor in alignment with your philosophy and beliefs? Do you sense that you could develop a highly collaborative working relationship with your prospective sponsor? Does the company have a well-defined plan (with specific criteria) for achieving “executive” level status? If you actively follow the plan do you have the potential of achieving a six figure residual income in a reasonable period of time? Is the company sustaining consistent growth that will assure you continued opportunity? Do you sense that this company and its business opportunity have the potential to help you achieve financial independence? Will this business model help you to meet your life’s goals and objectives? Will association with this company help to enhance your family’s quality of life? Does this company demonstrate ways in which it will support you in your personal growth and development. Does the company encourage you to support and develop other Representatives? Will success with this company help you feel like a winner – self-fulfilled and effective? Will this opportunity help you leave a legacy to your family and others? This entry was posted in Business Builder Bulletins. Bookmark the permalink. Thanks for this overview, Dave and Fran. Many people really do not know what direct sales is about and even if they really know it isn’t a scam, it still conjures up negativity. Many of the issues you raised provide good talking points when speaking with potential recruits or just customers in general. Thank you for your comments. We are pleased to see that you are checking out different articles at our website. If you want to discuss anything about an article please do not hesitate to contact us through our website. The very best! Independent Watkins Associates Dave and Fran Daisey proudly present this site, to help you earn significant income working from home. Enjoy! If you click here to visit Work At Home Insights on Facebook and then "Like" that page, then you'll get our announcements on your Facebook newsfeed when we add new articles to this site. Watkins Offers Wholesale Buying Privileges PLUS Other Options! Building Managers – Key to Success In Your Watkins Summit Group Home-Based Business! 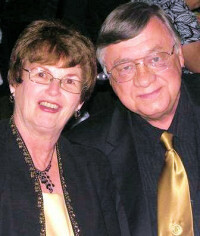 Fran and Dave Daisey are your tour guides and mentors for earning income from home. Tell us why you want to succeed in a home-based business (by calling 856-629-9998 or by e-mailing us) and we'll give you a free copy of our Life and Career Assessment. Or, view our online brochure to learn how you can have the same success and pleausre we've had working from home. Dave Daisey on Is the J.R. Watkins Company legitimate and trustworthy? Steve Rice on Is the J.R. Watkins Company legitimate and trustworthy? mobile bible on Surviving Our Disasters, Miscalculations and Misadventures! The statements made and opinions expressed on this page are those of the Independent Watkins Associate who is the publisher of this document, and are not to be construed as the statements or opinions of Watkins Incorporated. Testimonials are based on personal experiences, and we cannot guarantee these same results for everyone. We proudly represent Watkins, the best work-at-home business in the United States and Canada. We're part of the highly respected and successful Summit Group team of Independent Watkins Associates. Join us for your best success! For any statements on this site about about health-related products: These statements have not been evaluated by the Food & Drug Administration. These products are not intended to diagnose, treat, cure or prevent any disease. In Canada, this information is provided for educational purposes only. No claims are being made for any product.